Mixed media - photographic print and hand caligraphy - Polaroid Chocolate film - unique. 30" x 42"
This beautiful 19th century script is a handstyle devised by artist Jose "PRIME" Reza to evoke the flowing penmanship popular during the dawning of the transcontinental railroad era, and with it the beginning of the Miramar Beach Hotel. 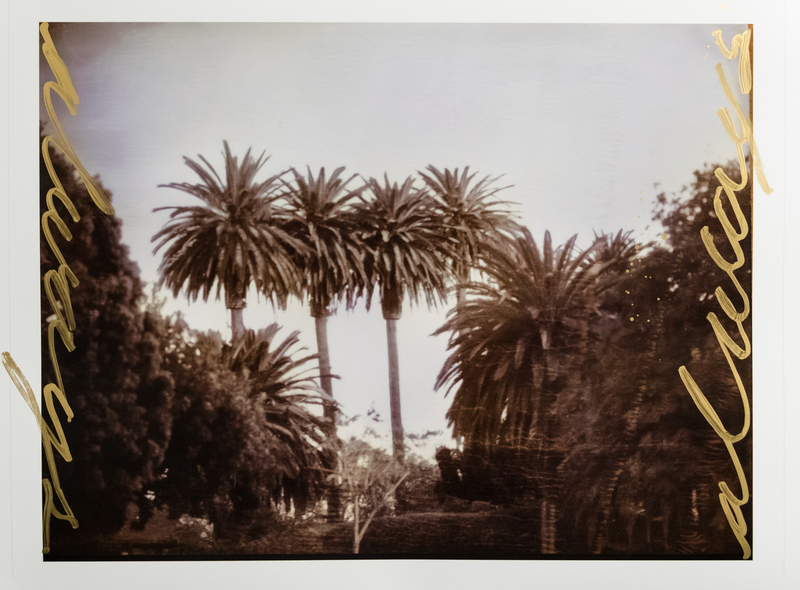 For the entire country California was an exotic, magical destination, letters and photographs from there were treasured.